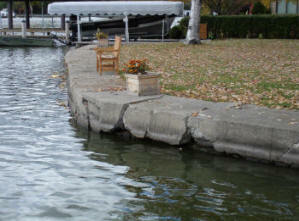 Let Schmidt Boat Lifts & Docks create a beautiful shoreline, while preventing the damaging effects of erosion. 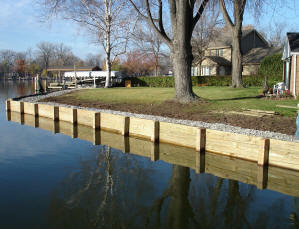 Our seawalls are constructed of the best materials with quality and durability in mind. Replacement of your failing seawall is the best way to prevent further erosion and shoreline damage. While there may be lesser cost options, no other provides you with the longevity and strength of our walls.